Car was very reliable and they were very professinal in their communication. 1st place I'll go to if I'm looking to rent a car in Miami. Great host! Nathan was great with communication and flexibility. This car rental made my trip a breeze. This was an awesome service! The car was very nice for the price. I may try an upgrade next time :-). I highly recommend this service and hope I don’t have to rent through traditional car rental companies again. Easiest way to rent a car. Fulton is very professional and everything went smooth. 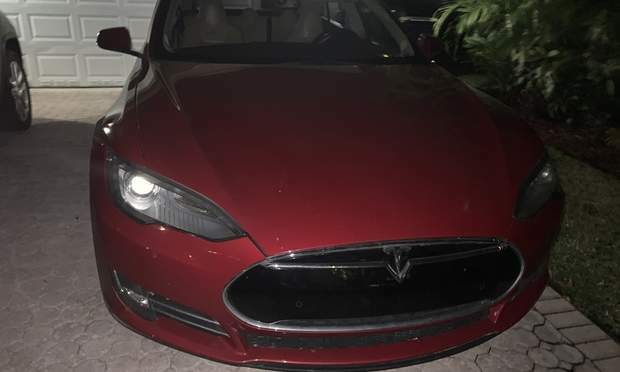 First time using Turo and very good experience! Would recommend rent a car from Jonathan. Had a great experience with the car rental. Sev is a great person to deal with. 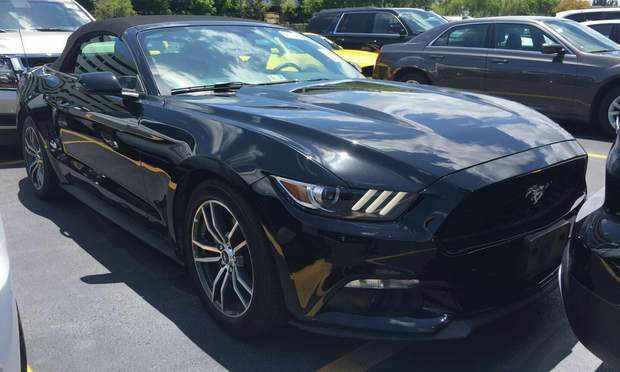 The best experience I’ve ever had in a car rental! There’s not enough that I can say about Karina and the staff. Never again will I rent a car anywhere else. Thank you! Real friendly will definitely rent a car again from him! Marisol was great and flexible with our trip, would rent a car from her again ! Miguel was fantastic! Responded quickly and answered any questions I may have had. There was an incident involving the vehicle and Miguel was very understanding and helped me solve the problem with the other parties involved. I will definitely rent a car from him again the next time I’m in Miami! Antonio is a great host. Will recommend to anyone that is looking for a great car rental experience. The Bs real delivered. I ended up going the route of Turo due to the lack of service, and flexibility from typical car rental agencies. As this was a business trip renting the Chevy Volt really helped drive my image and professionalLy status amongst my peers. They were impressed with me going green with this hybrid car and felt nice riding in a more personalized car. This was my first Turo experience and loved every moment of it. 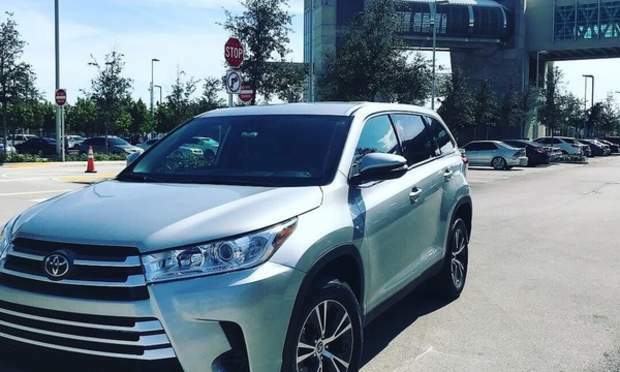 The best place in Miami to rent a car. Wonderful professional team Tks!!! Great place to rent a car affordable and very nice people. Excellent, best rentals in Miami and whole Florida, highly recommend to all drivers around the world. Will rent cars from Karina again for sure. Best service, team and staff and the must convenience location. The car is amaizng brand new, fast and very good in gas. Totally happy . Great communication and made car rental very convenient. Absolutely a first class operation. Pick up and drop off was a breeze and the gentlemen who met me at both times was incredibly courteous and even very understanding when I had a small incident with his vehicle. He was kind and patient and helped me to resolve it quickly and efficiently with Turo. 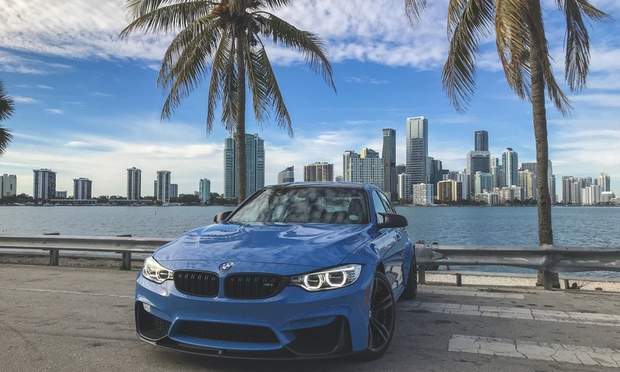 I’d definitely recommend him to anyone else looking to rent a fun car for the weekend, a business trip, or even just enjoying Miami in a beautiful car. Tony is an amazing person. Goes above and beyond to ensure that you're car rental is comfortable. 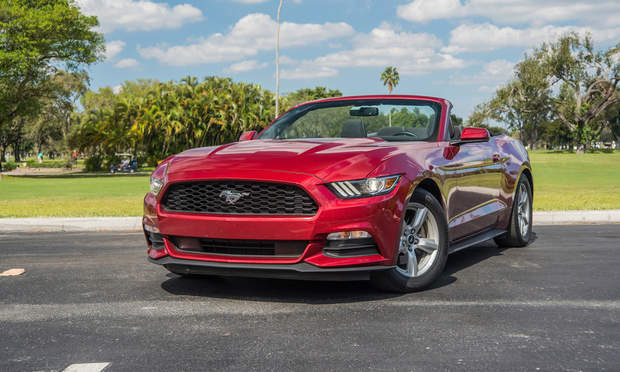 He is very easy to communicate with and made the car rental a great experience. Will definitely rent from again in the future !! Big thanks to Karina! Was a great experience, I’ll definitely rent a car again from you! Thank you! Thank you! Everything was great! Will rent a car again! Daniel accommodated me with everything I needed and more on my trip. Simply amazing experience. Best car rental service I’ve ever received. Extremely punctual! Thanks Daniel! The nicest car rental I’ve ever encountered with, Porsche was phenomenal! Definitely willing to rent a car from her. Giovanni is AWESOME!! The best car rental experience! The car was clean and fully functional! No issues our entire 7 day trip! Giovanni was friendly, flexible, great communicator, accurate and down to earth! Highly recommended! Whenever I'm in the Miami area again, I will ONLY contact Giovanni! Another great trip for me. Karina and team set the bar for the Turo experience. 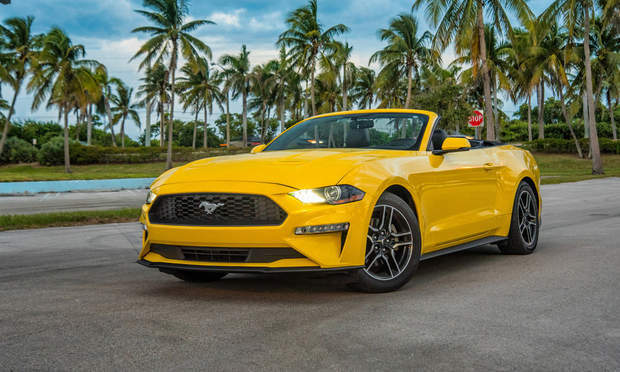 They provide reliable cars, with great communication and service throughout , and no hidden fees or sleazy sales tactics that you will find with small car rental agencies in the same area (some in Turo.) Lazaro is always professional friendly worker to deal with. Thank you ! Thank you Anil. Your awesome. Definitely would rent a car again from you. I truly enjoy Turo as this was my first trip. I rented the car to celebrate my sisters birthday week. She was more than overjoyed to because we usually do not ride convertibles to many in Miami. I own a foreign, but not convertible. I found it to be the perfect opportunity to try it out and be touristy to celebrate. I honestly think Peter provided the best customer service I’ve experienced. I texted him late at night to ask a question during my trip, and he got back to me in less than 5 minutes. I loved the car, the sound system is great with a deep bass. 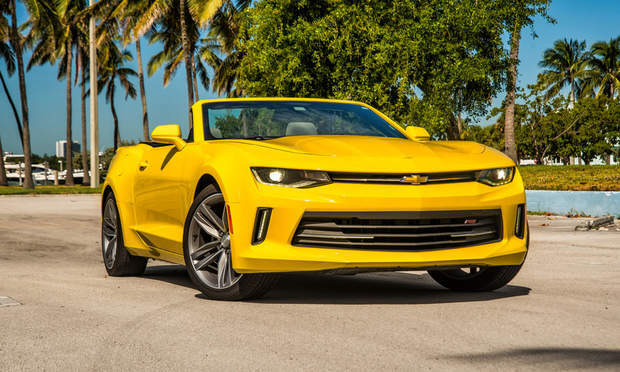 The car accelerates on a dime so you feel the horsepower, and it’s a luxury that turns heads with its wide body. I’m adding Peter to my fav, because I need to rent from him again. 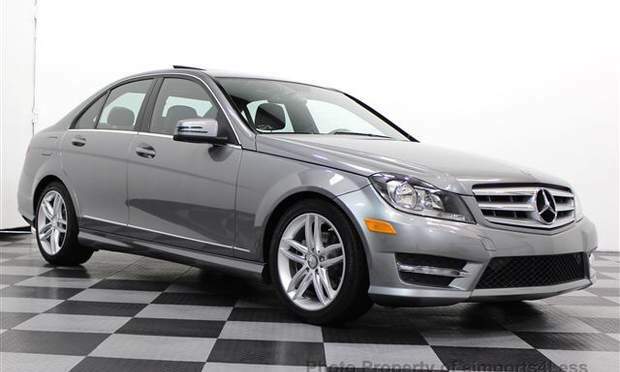 I’m thankful for the great experience I received, and I rate Peter and Turo 5 Star! First time driving a luxury car and it was awesome. Drove it round trip Miami to Key West and back. No issues. Car was in great condition and very clean. Came with Bluetooth and a charger. John was very communicative, flexible, and super nice. Highly recommend renting from him. 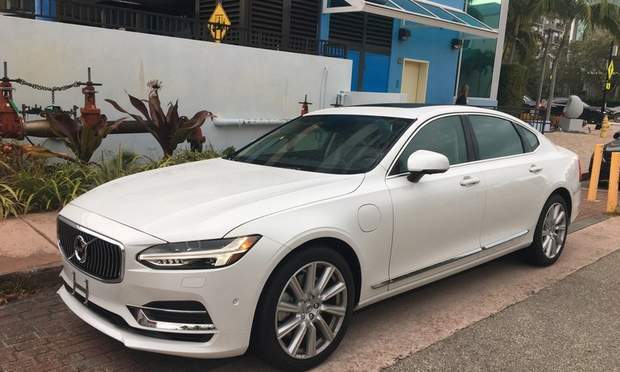 This is my second experience with turo, I live in Miami so I decided to roll in style, I started looking for luxury cars and Adams car was the most affordable and attractive car. 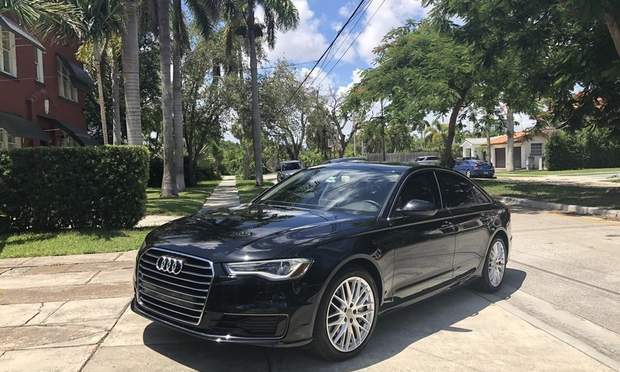 I reserved the car and Adam was responding on time asking how he can help for our convenience, he is one of the nicest guys in Miami to deal with he’s so gentle and professional, the car was shining like it just came out from the dealership there was water bottle in the car and welcome candy, full gas. Thank you Adam for your customer service and the car great. 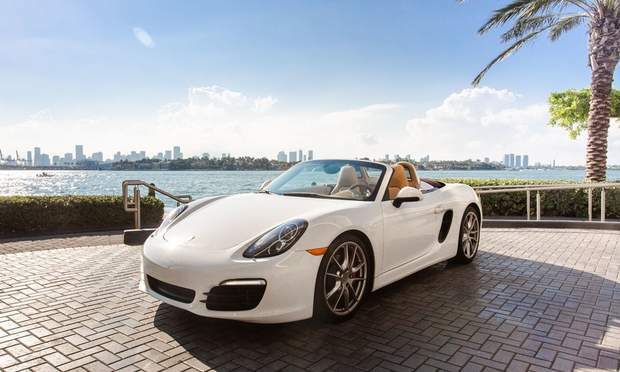 You have to rent this vehicle to experience Miami the right way. 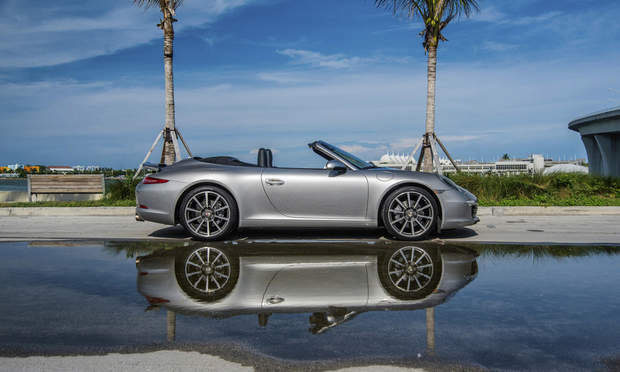 Top down and nothing but wows everywhere you go. Lots to do and see. It seems like this car turns a lot of heads wherever you go. Car was extremely clean when we picked it up and drove like a dream. Thanks to Miguel our trip was memorable. We will definitely come back and rent from him again. Easy to work with and very cool about our requests. This was my first turo experience and I wanna thank Bruno to make it fantastic! He is very friendly, flexible and communicative person. This event added value to our Miami vacation. The car is exactly the same what you see in the photos and it drives perfect. 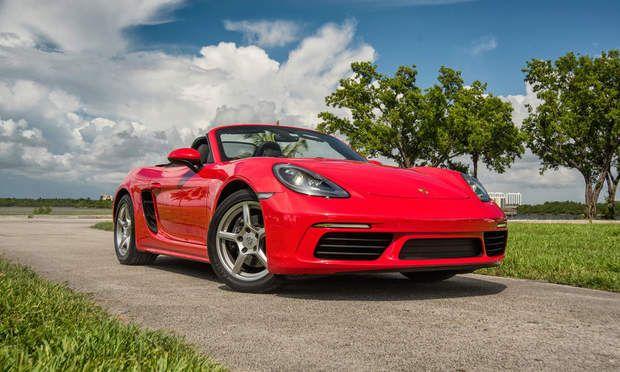 Don't hesitate just rent and enjoy the stunning 718! This car was amazing and Conrad was very understanding on any concern that I had. My next trip to Miami, I’ll definitely be dealing with Conrad. Thanks guys! The owner made the process very smooth and efficient. The car ran smoothly, it was a great car rental experience! Car rental was great because I was on vacation but some defects on the car that weren’t mentioned when I picked up everything else was awesome ! I just want to say Mr. George is great. Very nice guy. Car pick up and drop off went smoothly. The car was exactly as described and was fair price. He even gave me a free bottle of water! Haha but honestly very nice guy who does his best to make sure your car rental experience goes smoothly and professionally. Would definitely recommend and if I come back to Miami would definitely rent from here again. This is not your average car or your average host.. Isaac is on another level on this business, he make everything easy and simple and he also is flexible and willing to help you no matter what. As a travel agent I’ll recommend him to all my clients and you also should try it out I bet you’ll never visit another car rental place. I’ll rent from him again and again is the best in Miami guaranteed. This was my first Turo ride. I got a car from Katrina for 24 hours, but only used it for 4! I didn't understand that I was supposed to alert Katrina that I was returning it early, but it all worked out in the end. I was surprised that Katrina seems to own a car rental agency. She seems to have a lot of cars available for rent. My first experience with Turo worked out well. Adam, was easy to communicate with. He was always available for communication if needed. I will rent a car from Adam again when I return to Miami. Perfect and quck resonses woth no hassle or lines with big help from Marino. The best rent a car experiance since now. We had so much fun renting Brett’s convertible! The car was great and Brett was accommodating and easy to work with. I’d rent a car from him again no problem! Danny, I have to say by FAR is one of THE BEST HOSTS in Miami for Car Rental. Very Flexible, awesome guy to work with. Great communication and reliability. Thanks Again for everything and look forward to working with you in the future. Outstanding experience. Enterprise ,Hertz and all of those big name car rentals have nothing on Gio. The customer service was second to none the car was impeccable and smelled fabulous inside, and best of all the sense of personalized service tied it all together for a wonderful experience. I would definitely recommend him to everyone I know looking for a car rental. Pablo is very professional and helpful. It was my first time in Miami and he helped me with more than just a car rental. I hope many more people rent from Pablo to receive great customer service and a great vehicle as well. Great communication and very nice people! Would definitely rent a car again with them. It’s the second time I rent a car from Rigene. Everything perfect. Our rental experience with Yakov was great! 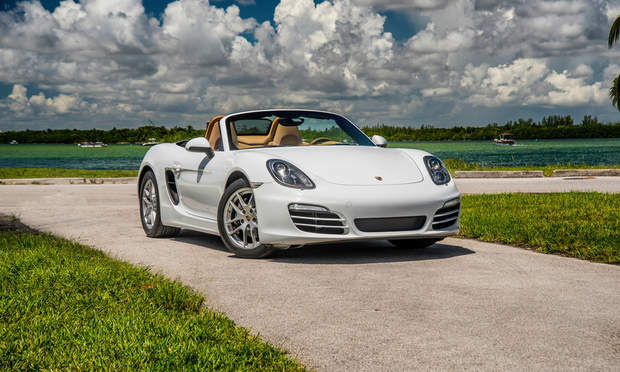 He's conveniently located in Brickell, offered a quick overview of the car and was very straightforward and easy to work with. 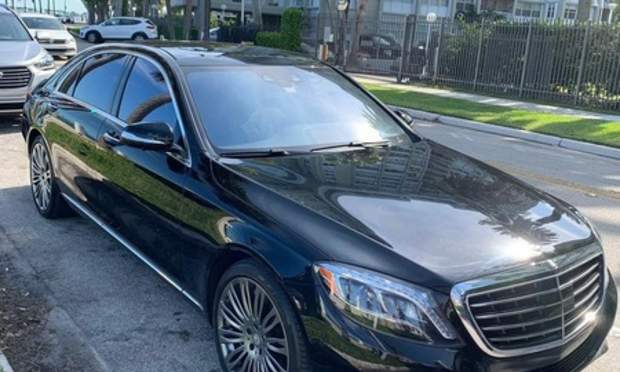 His Mercedes is an excellent, fun option for getting around Miami and offers a great value on a convertible luxury sports car. When we left our keys between the seats in the vehicle, Yakov even went the extra mile and ran downstairs to meet us! Wonderful experience, would rent again in a heartbeat. Best Host on Turo! Fulton always responds quickly and is very sweet! Best ever! Will only rent from him unless his cars are unavailable! Amazing experience overall. The car is a blast to drive around Miami. Nathanael is very professional and delightful to deal with. If you are not sure what car to book while in town, I highly recommend this one. Antonio provided an amazing service and vehicle for our trip! The car was clean and drove well with no issues. He was a courteous host and made sure we had everything we needed before, during, and ending our trip. 100% excellent service all around and I’m truly impressed. I’d recommend renting from him because he really does care that you have the best experience possible, and as a tourist, that is all you can ask for!! Jonathan was an absolute pleasure to work with! Great communication and was able to accommodate our last minute booking and went above and beyond giving me a great spot to do a photoshoot with the car which was the reason we rented the car. Definitely recommend renting from him and next time I come to Miami he's my go to guy! Jonathan's Miata was the ultimate way to see the sights in Miami. Jonathan was extremely accommodating and flexible. The Miata drove well and was a blast with the top down. Highly recommend you get this car for your trip! Great car, great rental , would definitely recommend. Great service. Another great car rental experience with Moshe. M6 was in great condition. Moshe delivered it to my residence as well as picked it up, on time, as usual. Carlos was an excellent car rental host! He made our stay so easy and his Audi is an amazing vehicle! It behaved perfectly well and made our trip very comfortable. Thank you Carlos! Would rent again.